The Frugal Family Life: Buy Costumes.com :: 80% Off PLUS FREE Shipping!! 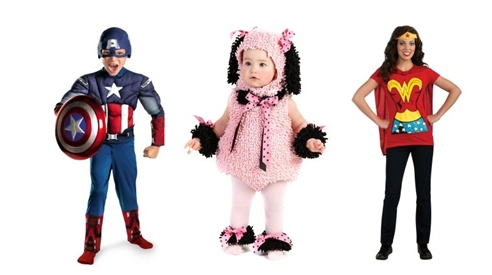 Buy Costumes has so many new costumes right now. There are many items on clearance (up to 80% off) plus lots of different accessories! TODAY you can get 25% off with coupon code DEMON. Plus, to make it even better, we can get FREE shipping from this site! One other advantage of Buy Costumes is their Low Price Guarantee. If, within 14 days after you buy, you find the same costume priced lower, you can get the difference back + 10%!